So many design options remained up the air when this project began, but Resi worked closely with our client in order to refine these and create their dream home. This project was carried out under householder planning permission, which was granted on 18th July 2018. 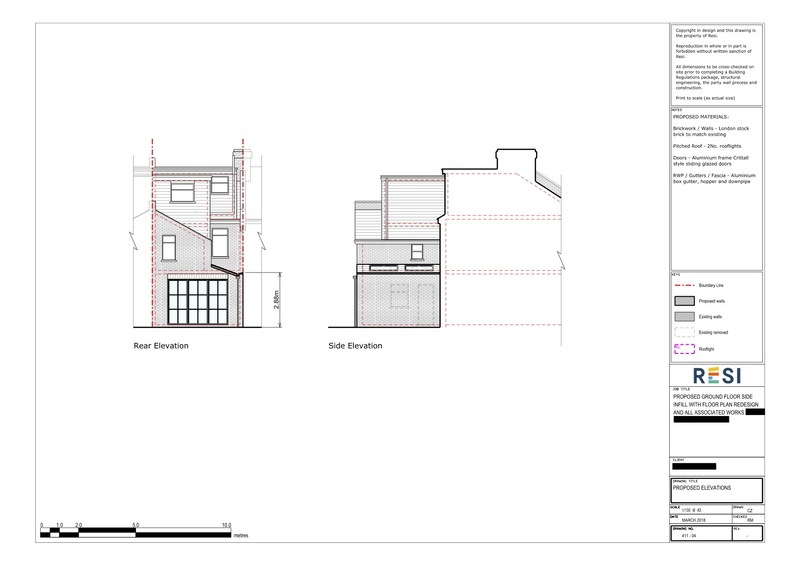 Our client was looking to build a side infill extension, in order to accommodate a kitchen and dining space. Their ‘must have’ detail was the inclusion of lots of glazing within the extension, but could not decide on whether sliding doors or a floor to ceiling glass window was the better option. 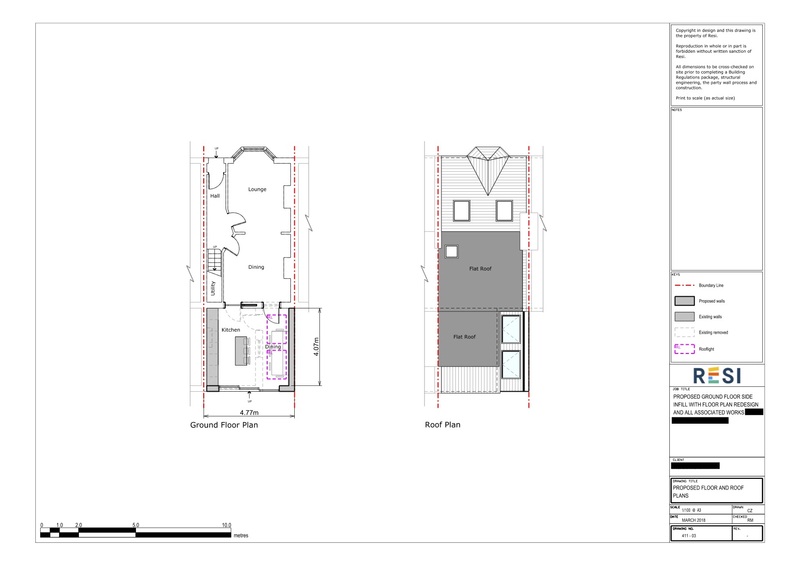 Regarding the structure of the space, they were looking for two design options from Resi - one which kept the load bearing wall separating the new space, and one which removed it and creates open plan living… again, they were not sure which option to go with. I certainly filled their requirement for lots of glazing in the new extension, as two skylights were fitted to the side infill (intended to be placed above the dining table), and Crittall style sliding glass doors expanded across the rear, looking out onto the garden. The new extension held an open plan kitchen and dining area, with a central island in order to break up the space.